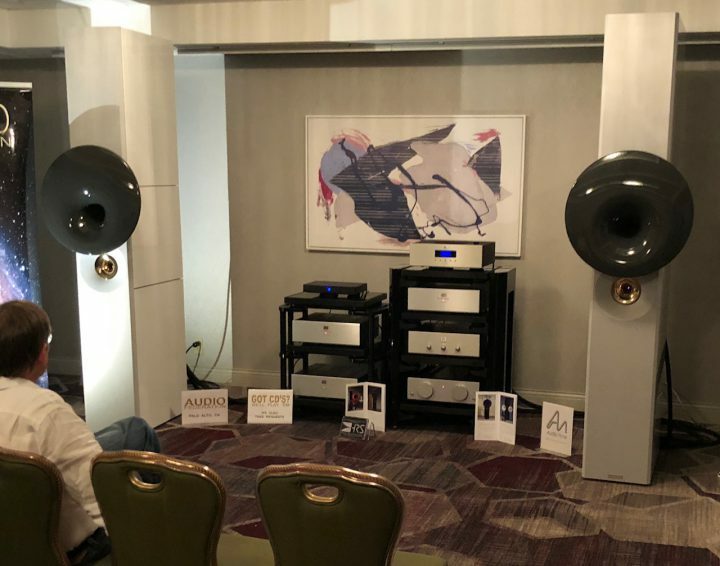 The eighth California Audio Show ran from July 27-29 at the Oakland Airport Hilton, the same venue as last year. 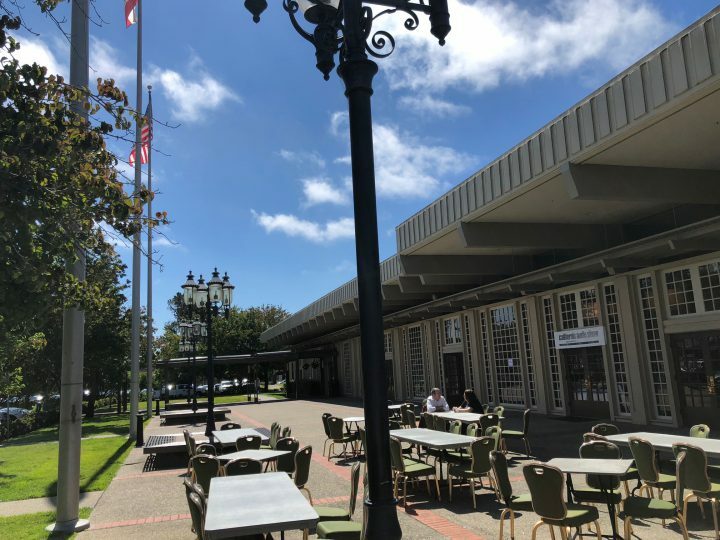 Also like last year, the weather was spectacular during the run of the show; the characteristic fog burned off by mid-morning every day, revealing clear and sunny skies and highs of 68-70 degrees F, with a nice breeze off the bay. It’s hard to separate the venue and the weather from the exhibits and vibe of the show; the site and setting are a major part of the show’s appeal. CAS has never been a huge show, and recent years have seen, shall we say, negative growth. 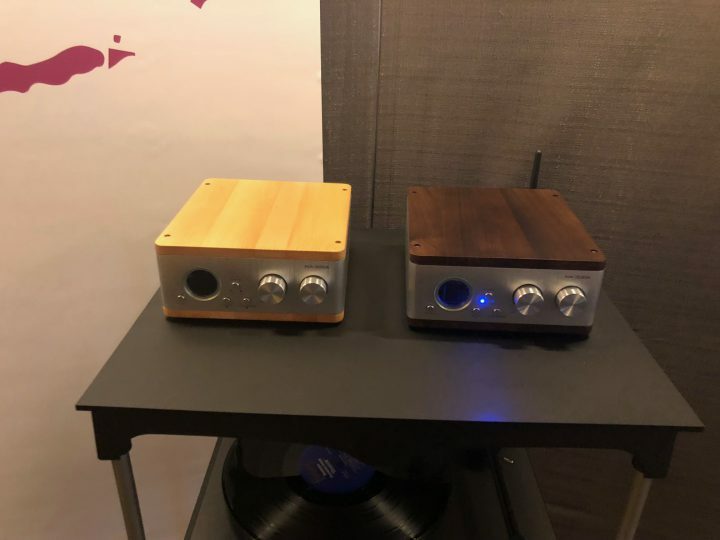 Historically, both exhibitors and attendees have welcomed the show’s smaller size and less-hectic pace relative to major shows like RMAF, Axpona, and Munich; the fact that show-goers have had easy access to designers and the time to chat with them has been a major plus. Lunch or a beer outside? Don’t mind if I do! 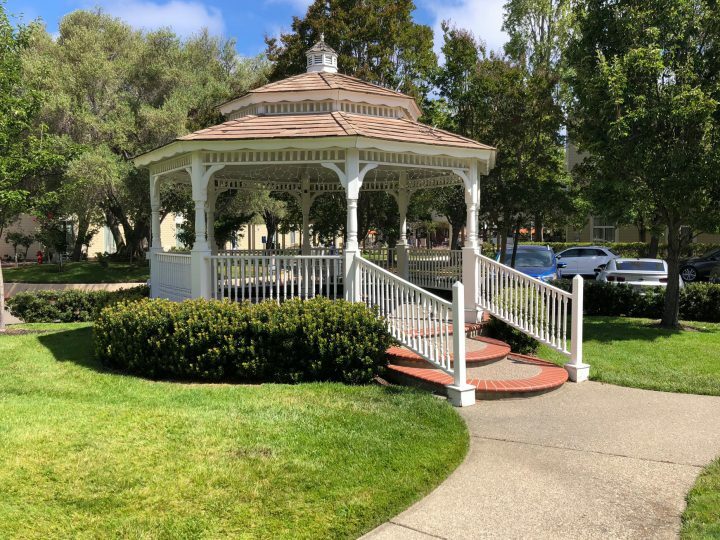 Come on—what other audio show has a gazebo? 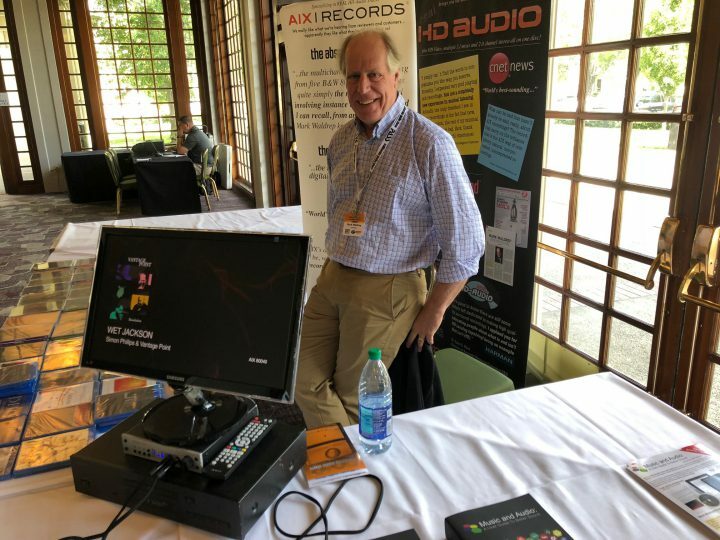 Dr. Mark Waldrep of AIX Records was in the vendor area. 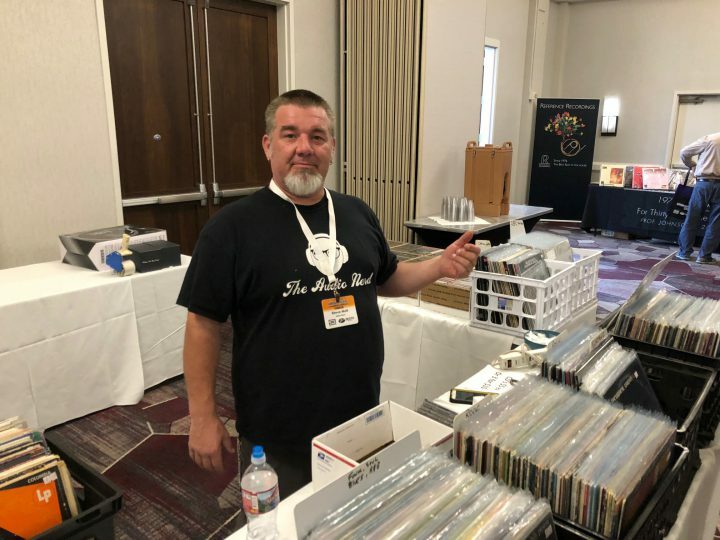 Industry vet Steve Holt brought a van-load of rarities from his record store, The Audio Nerd. The crew at Reference Records offered Keith Johnson’s immaculate recordings. 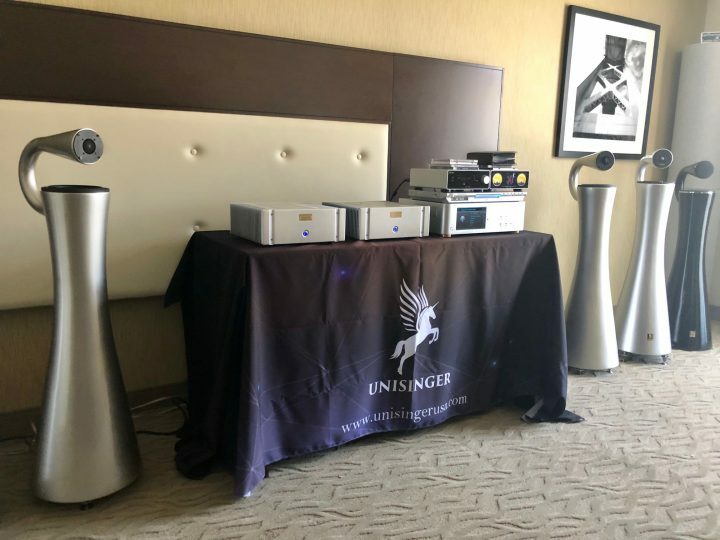 Discussion panels covered topics like speaker design (with David Bernhagen, Bernhagen-Porter; Sam Wisniewski, Destination Audio; Julian Margules, Margules Group; Murray Harmon, Muraudio; David MacPherson, Studio Electric; and Rong Zhang, Unisinger. Art Noxon of ASC Tube Traps gave a presentation on power balance in listening rooms. Amplifier manufacturers were represented by Julian Margules (again, doing double duty); EJ Sarmento, Wyred 4 Sound; and George Counnas, Zesto. 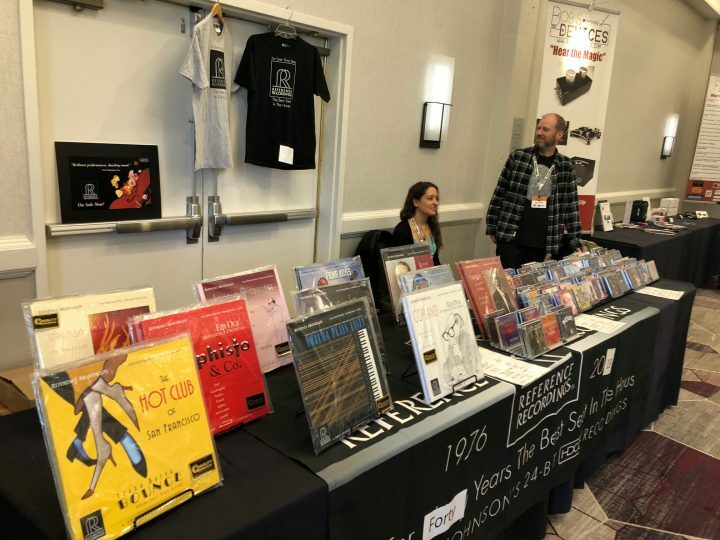 Record labels were represented by Mark Waldrep, AIX Records; Cookie Marenco, Blue Coast Records; and Keith Johnson and Marcia Martin, Reference Recordings. 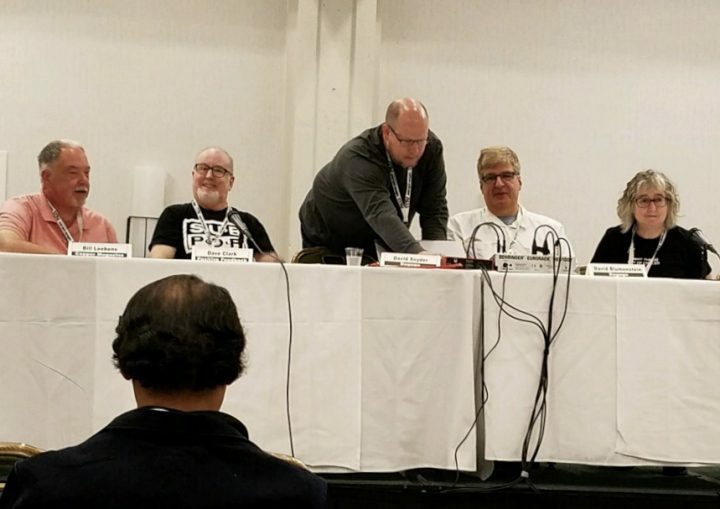 Finally, a panel of writers and Editors included Dave Clark, Carol Clark, and Malachi Kenney from Positive Feedback; Jack Roberts from The Audio Beatnik; David Snyder and David Blumenstein from Dagogo; and yours truly, from Copper. Me, Dave Clark, David Snyder, David Blumenstein, Carol Clark. Other days, Mal Kenney and Jack Roberts participated. 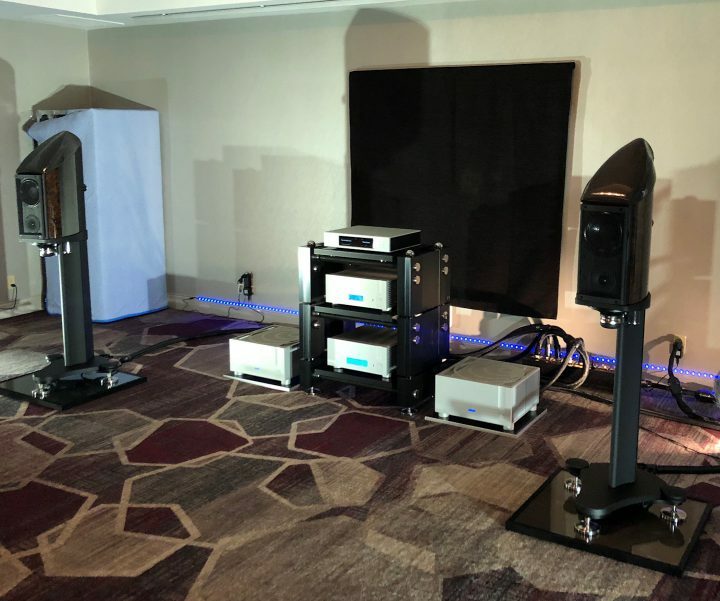 Aaudio Imports had the distinctive Wilson-Benesch speakers and Ypsilon electronics…starkly-lit. Destination Audio horns may be very dynamic—but you couldn’t tell, given the tinkly cocktail jazz. 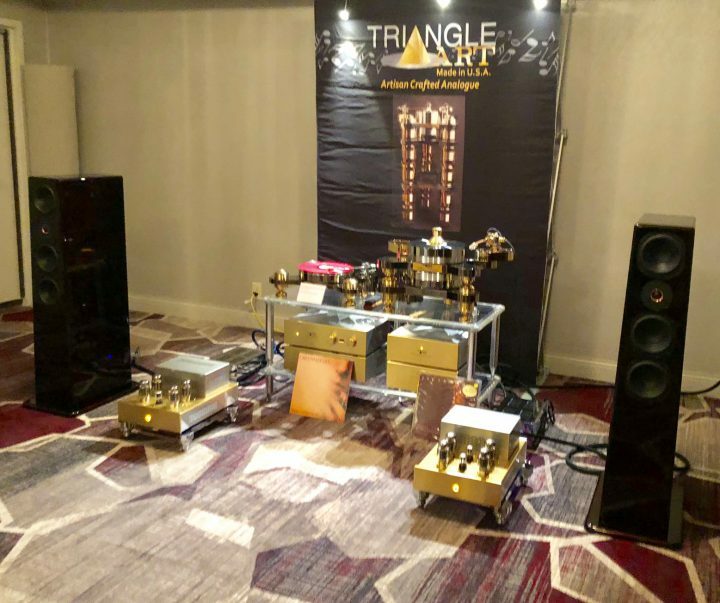 The Triangle Art/Angel City system produced full-bodied, dynamic sound. Most enjoyable. Audio Federation’s Acapella/Audio Note system was terrific, and they played great music. Napa Acoustic showed this cute little integrated, along with their usual wall-hung “painting” speakers. 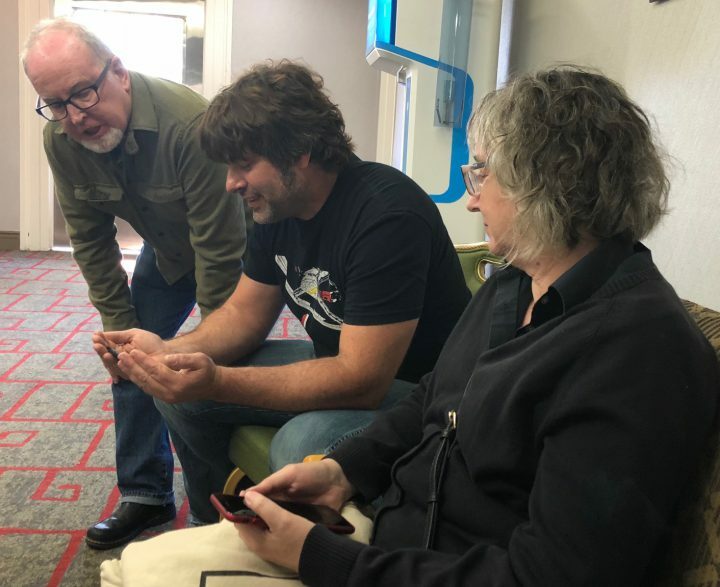 Dave and Carol Clark chatted with Sean Casey of Zu Audio. 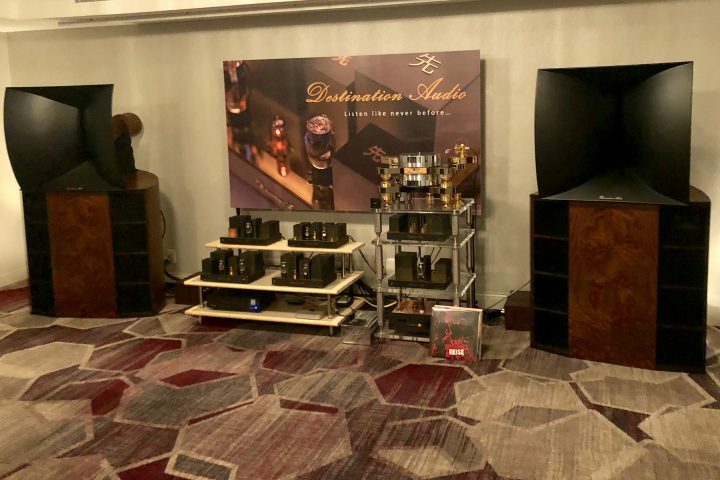 In the next issue of Copper, we’ll run through the rest of the rooms at the California Audio Show! In the next installment it would be nice to see the numbers associated with the show—number of exhibitors, rooms, estimated attendees. With the uncertainty of the shows in southern Cal, maybe this show is worth attending. I’ve flown from my Midwest home a number of times to attend the shows in LA but have had to cancel twice in recent years when shows were canceled. Were there even 25 rooms, Bill? Did they reach 1000 in attendance? It’s a shrinking show. Personally, I’d do AXPONA and Rocky Mountain, which are the two major shows in the United States. By my count, 23 rooms plus the vendor area and seminar space. Unofficial guesstimates from some industry folk—500-ish. CAS is a pleasant show, a lovely venue in a convenient location. It differs from large shows in that attendees have ready access to exhibitors and learn more about each company, their phlosophy, and their products. Axpona and RMAF are often unable to allow such access. Only 23 rooms and about 500 attendees? In the Bay Area? Wow, that seems pretty sad. My reference for small shows was the now deceased AKFEST that Audio Kharma put on in the Detroit area. I don’t really recall how many rooms and attendees there were, but I’m pretty sure it would have beaten this years CAS. While I can understand the number of exhibitors dropping due to the cost, seems like the local audiophiles are not supporting the “cause”. Are they that jaded?